After the EU referendum, British politics is going to change dramatically. But how do we make sure that Brexit works out for all in the end? The shockwaves of the referendum result are continuing to hit the country. The leadership of the Conservative Party, and hence the person holding the office of Prime Minister, is set to change. Labour is having its own leadership debate. Moreover, the future direction of the UK is in doubt, since the country is divided and a comprehensive Brexit plan has yet to emerge, while the Leave campaign’s pledges are steadily unravelling. The country desperately needs wise and responsible leadership. We also need to focus on reconciliation. The referendum result seems to show a country divided. With voter registration and turnout high, the engagement with politics by voters has been considerable. Even on the day of the vote, people were discussing the issues and working out where to put their cross. In the end, the Leave campaign won, with 52% of the vote. It seems Remain’s arguments about the risks, especially to the economy, did not win the day. Instead, concern about migration were a more important factor for many people. It should not be forgotten that many will have voted against EU membership for other reasons too, though almost all will come down to issues of sovereignty and control. Politicians of both parties have reaped a whirlwind from their misguided politics. First, while it has been the policy of Labour, Coalition, and Conservative governments and parties to maintain membership of the European Union, that policy has been enacted half-heartedly. The advantages of membership were many, but they were little trumpeted over the years. Despite EU membership barely, if ever, featuring in top ten lists of voters’ concerns, leaders have been reluctant to proclaim the advantages of such a successful policy, preferring to hide the EU light under a bushel. We ended up with a supposedly mildly Eurosceptic Prime Minister suddenly campaigning passionately for membership, and a Labour message that was half-hearted. Second, fundamental changes to our society and economy have been ignored. The financial crisis was probably the biggest wake-up call for decades, but the lessons were not learnt. The market economy has lifted millions out of poverty around the world. In this country it has underpinned years of growth and well-being. But the benefits, never equally spread, were increasingly unfairly distributed. The financial crisis exposed the errors and unethical behaviour of high finance. Yet despite an initial stimulus and large bailouts of banks, governments went back to business as usual. Austerity was prioritised over growth. The need for better housing, better education, and better opportunities was ignored. Instead, a Conservative Chancellor helped ramp up house prices by encouraging more borrowing, while cutting back on vital local government spending. Christians on the Left has argued passionately for a different kind of economy and for more economic and social justice. We must continue to do so. One of the guiding principles of Christian Socialism is that everyone is made in the image of God, and that, as RH Tawney argued, everyone needs freedom in their economic as well as civic life. Too many people have felt they have too little control and for too long. This must have been one of the main drivers of the referendum result. Christian Socialists have answers. We need wise and responsible leadership. 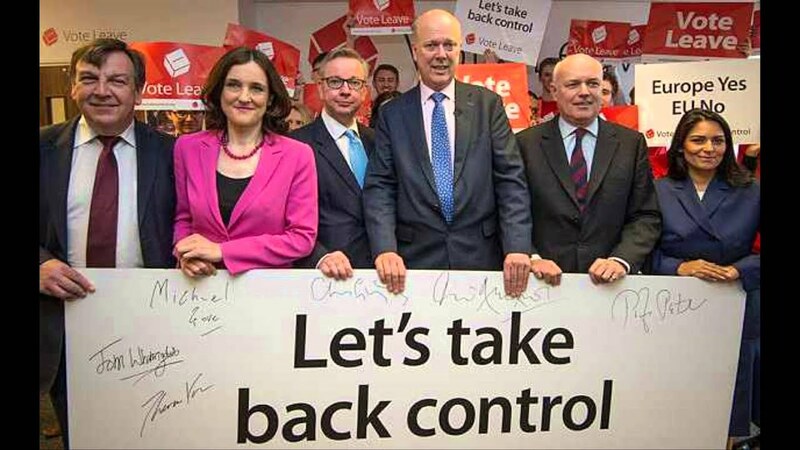 Leave campaign leaders relied on slogan without policy, but a country cannot be governed in slogans. This is now becoming apparent as experienced politicians reign back on the campaign pledges they made last week. It is a lesson Labour needs to learn quickly too. The UK faces difficult negotiations over our future with countries that are not feeling particularly well-disposed to us right now, and we may need to look at the decision again when we know the outcome. It would be a disaster if the Conservatives chose fanaticism or bluster over wisdom and maturity. It would be a disaster if Labour abdicated from its role as the government-in-waiting, with a different set of values ready to be applied. Those who campaigned to leave now have to show how it will work – the responsibility for the consequences is theirs. With a nation divided, we also need much healing. We are not divided in every respect, despite differences of opinion. We still have a choice, with regard to all our relationships, to Remain friends or to Leave each other’s company. Choose the former, and we choose healing and reconciliation and the national interest. Choose the latter, and we sow more discord and help undermine our society. Christians involved in politics have a great responsibility here to be honest peacemakers, not papering over differences but working for reconciliation and the common good. Stephen Beer is Political Communications officer of Christians on the Left. This article represents his personal opinion. Stephen writes at www.stephenbeer.com and tweets at @stephen_beer.